The exhibition, although not intended as a full survey or retrospective presents a number of key works by the artist in the last two decades. Works included in the exhibition are Landscape #1, 1970, Sketch for Landscape #3, 1971, Casino Royale, 1974/75, The Notion of Motion, 1975/76, eGates of Paradise, 1978, Garden Path, 1979, Untitled Cliche-Verre, 1985, Sephira (Foundation), 1987, Sephira (Grace) 1987, Sign of Angels, 1989, Orectic Object (Above as Below), 1990 and Orectoc Object (Drawing the Curtain), 1990. A catalogue was published by Presentation House Gallery in conjunction with the exhibition, with texts by Bill Jones and Russell Keziere. October 17, noon | Lecture by the artist, at Emily Carr College of Art & Design. 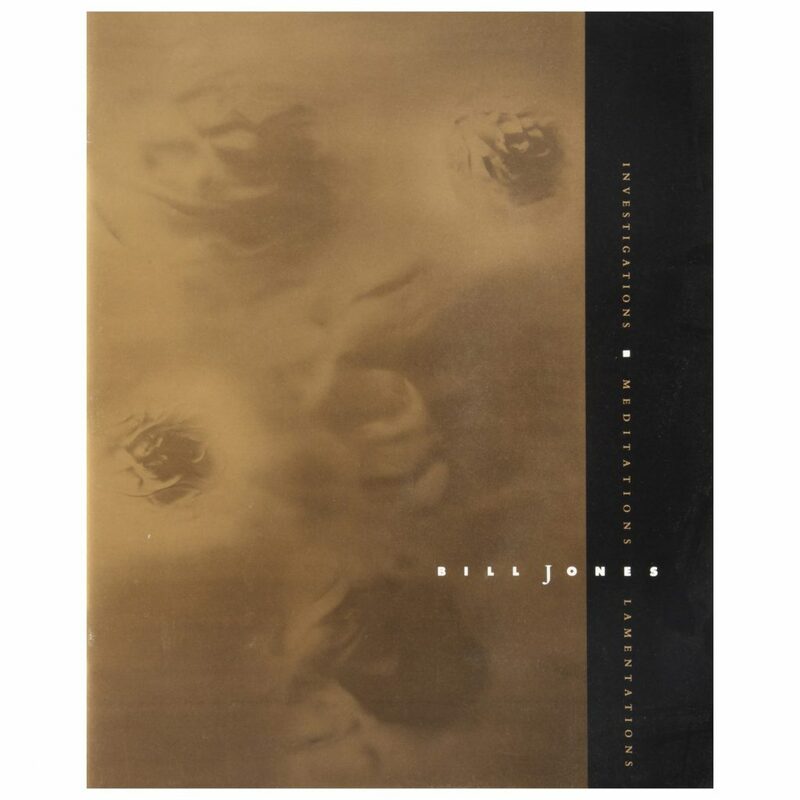 The publication augments an exhibition of work by Bill Jones in 1990. The exhibition, although not intended as a full survey or retrospective presented a number of key works by the artist in the last two decades. Essays by Bill Jones and Russell Keziere, and comprehensive biography/bibliography. Designed by Alex Hass, printed by Metropolitan Press.